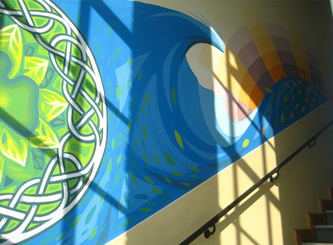 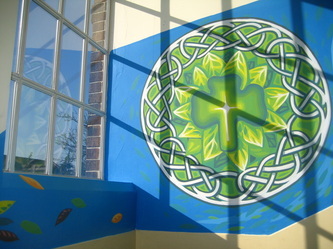 New Mural for St Patricks Primary School, Redfield. 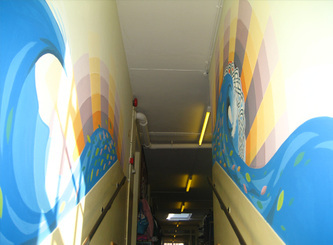 Designed and painted with children from year 2- year 6. 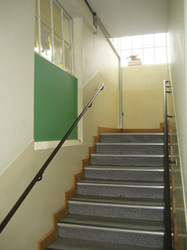 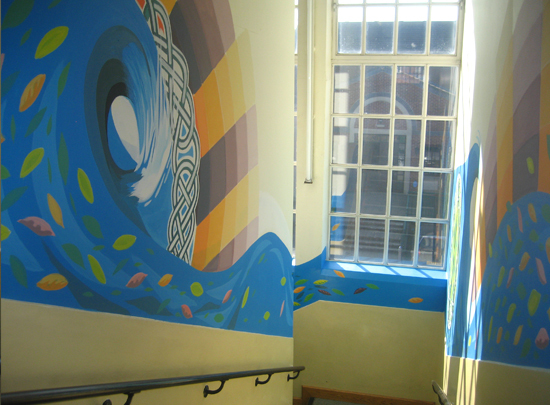 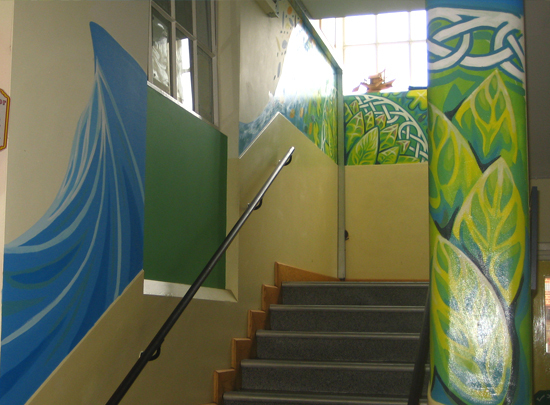 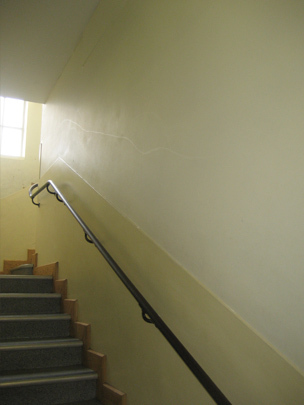 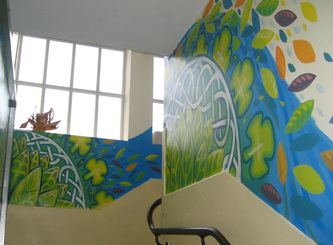 This stairwell needed a lot of brightening up, its very busy and visible at the end of a long corridor. The school wanted their logo to feature in a painting that highlights their peaceful atmosphere, the children worked really hard painting this tricky space. 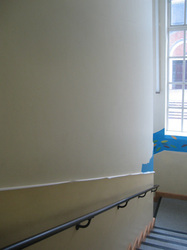 The mural has been varnished to help it cope with all the traffic.